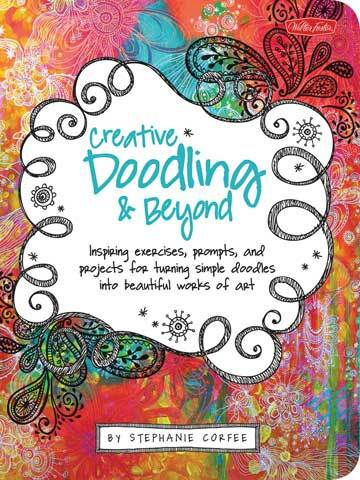 This book features a fun variety of projects, prompts, exercises and ideas to get the doodling juices flowing, while also providing inspiration for how to use doodles creatively. Beginning with some warm-up exercises and basic drawing instruction, readers will embark on creating projects with doodles that get progressively more advanced through the book, starting with a gift tag and ending with elaborate doodling projects on wood and fabric. Sprinkled between projects are fun prompts and exercises designed to spark creativity, as well as beautifully designed practice pages to hone drawing and doodling skills. The book contains more than 31 projects, exercises and prompts for using doodle art in multiple contexts and applying doodles to various surfaces using different drawing and painting mediums. The reader may practice and draw doodles directly on the activity book's colorful pages. It features a plethora of prompts and ideas to ignite creative inspiration, as well as techniques to create lively illustrations.